Decadent coconut cream cakes with raspberries, blueberries and Chantilly cream. 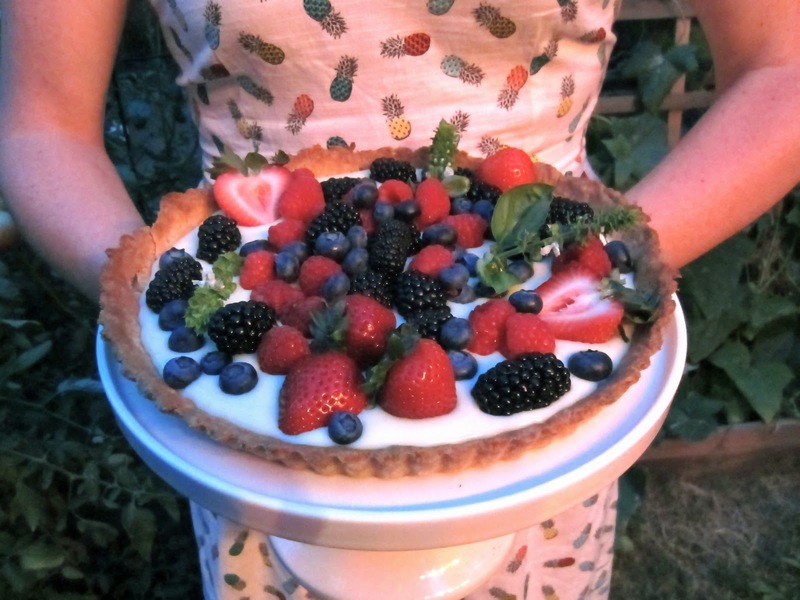 For this tart, we wanted to incorporate fresh garden basil, so we infused our pastry cream with it! In this version of a basil pastry cream, the basil takes center stage and is a heavenly Earthy surprise in every bite. A mint infused cream would work equally well. A fresh spin on the shortcake: lemon shortcakes with a plum blackberry sauce, and of course, fresh cream. 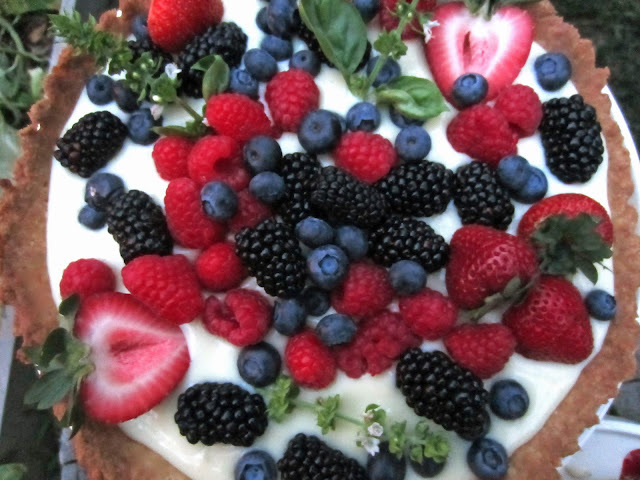 Love the play of fresh herbs with berries. 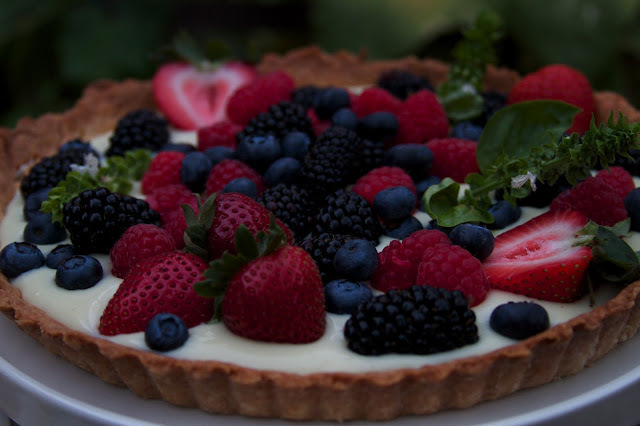 Keep it fresh: Check out this link to find local North Texas farms where you can arrange to pick your own berries, straight from the grower.